We celebrated the start of the kids’ spring break at Maru, the new Korean restaurant on Charlottesville’s Downtown Mall. There are some interesting twists on the menu, like kimchi arancini. And there are straight classics, like dolsot bibimbap. The kids loved their bossam, (lettuce wraps). Virginia Bluebells always remind me of this scene in Sleeping Beauty, when the fairy godmothers try to outspell each other to make her dress blue, no pink, no blue! When my mother-in-law’s primulas start blooming, I know it really is spring at last. I took the kids to see Fun Home at LiveArts. The themes and language were far more adult than I was expecting, but the musical was deeply moving and beautifully performed. I awoke in the early hours of the morning to the sound of tape being ripped with ferocious intensity. The night before the younger two made their declaration of war. Their older brother asked to be left out of the battle. It took me a moment to figure out that the Great April Fools Easter War of 2018 had officially begun. The noise I had heard was the sound of the 15 year old taping saran wrap to his sister’s bedroom door. She had frozen his toothbrush in a mug of water the night before. He retaliated by using his Water Pik against her like a makeshift water gun. She in turn attacked him with chalk fingerprints all over his choir robe. Finally, after singing for two Easter services in a row, we were all feeling rather exhausted. “Please, let’s stop this. I can’t take anymore,” the 15 year old said as we trudged back to the car. “Yes! You won. I’ll take my punishment. But, please let me do it tomorrow. I just can’t face it today.” (More on that later). And so an Easter Armistice was declared. Oh…and that punishment I mentioned earlier? The five of us sang at four different Easter services at two different churches this morning. The Easter Bunny visited our house while we were at church and left an obscene amount of candy hidden around the yard. Those beatific smiles disappeared as soon as the Easter Bunny’s mean, mean wife immediately confiscated aaaaaaaallll the candy and hid it away. You’re never too old for an Easter Egg hunt! Creating her pedagogical drawing illustrating Passover. My husband and I had wanted to have a baby for a long time and we were beginning to worry that it was not going to happen for us. We were thrilled when we discovered that our first, long-awaited and much longed-for baby would be born on Easter Sunday. One Sunday morning early on in the pregnancy, I began spotting. We made a trip to the Emergency Room. After a brief examination and ultrasound, the doctor told us that there was no heartbeat and that I was having a miscarriage. He offered to do a D & C to remove the fetus right there and then. Distraught and brokenhearted, I went home to grieve instead. I returned to the hospital a few days later for a follow up appointment. After a puzzling result from a routine blood test, the doctor sent me for another ultrasound. In a small, dark room we saw the steady flicker of our baby’s heartbeat on a monitor. We’re heading up to Arlington today to spend Easter with family and friends. Hope you have a wonderful, wonderful weekend! For the past couple of years, I’ve been taking my kids to the Lorna Sundberg International Center at the University of Virginia to decorate panoramic sugar eggs. When we’ve gone, all the hard work has already been done for us. All we have to do is show up and decorate our already-made eggs. If you’re feeling ambitious, making the eggs from start to finish would be a fun project for Easter or to do over the spring break. Whisk 2 egg whites until frothy. You can add food coloring to the egg whites to make a colored egg. Place 5 lbs. of white sugar in a large bowl. (Superfine sugar will give the eggs more sparkle). Create a well in the sugar and pour in whisked egg whites. Mix with hands 5 minutes until well blended. This egg came from Michael’s. Scrape tops of packed eggs with a knife to flatten, then remove from mold and place on a baking sheet flat side down. Hollow out the center of the egg halves with a spoon until the shells are about 1/2″ thick. (You can reuse scooped out sugar to make more eggs, just place in bowl and cover with damp paper towel). Cut off the front of the narrower end of the egg and continue to hollow out the viewing window as necessary. Let air dry for 2-3 hours, or put eggs on their backs into a 200 degree oven for another 45 minutes to finish hardening. Gently rub two halves together to smooth edges. Create a scene inside the egg by arranging small figures, candy, and “grass” inside egg. Secure everything with royal icing. (Beat two egg whites until stiff, but not dry. Add 4 cups sifted confectioner’s sugar and beat for another minute. Add more egg white or sugar as needed. Tint with food coloring). Pipe royal icing along an edge and press two halves of egg together. Run finger along edges to remove excess icing. Use pastry bags filled with tinted icing to pipe borders and other decorations on the egg. A decorative border will hide the seams where the egg halves come together. You can pipe your own flowers onto the egg, or buy frosting flowers and attach them with icing. A vertical egg can be made by cutting through the flat egg half, using the flattened area as a cutting guide to create the window. 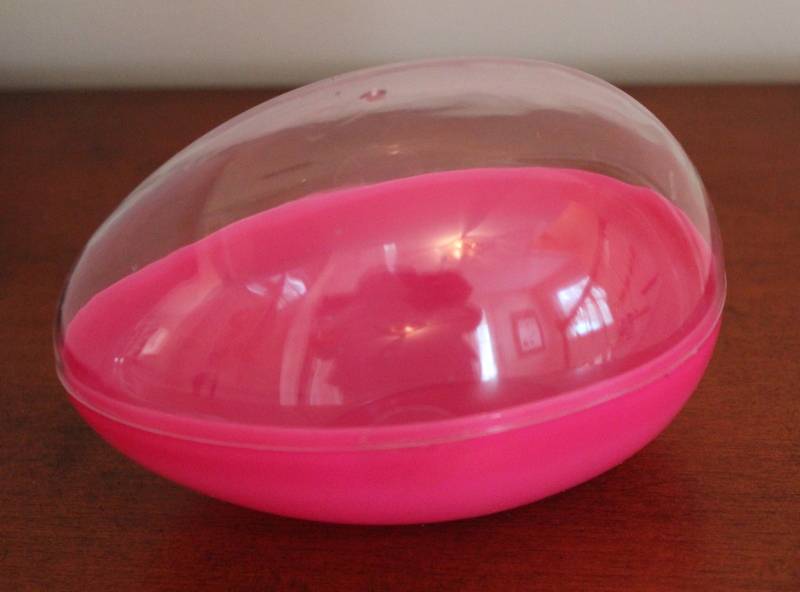 Try creating a base by packing sugar into the rounded wider edge of a plastic egg that opens vertically. Fasten the egg to the rounded side of the base with royal icing. Eggs can be displayed for Easter, then wrapped in plastic and kept in a dark, dry place. Sugar eggs will last indefinitely. The Lorna Sundberg International Center, a division of the International Studies Office at the University of Virginia, is one of Charlottesville’s greatest treasures. The Center is located at 21 University Circle, in a grand old brick house built in 1914. When you enter you may be greeted by the cozy whistling of a silver samovar boiling up water for tea. The living room is filled with comfortable furniture and beautiful treasures from all over the world given as gifts by the many international guests who have stayed there over the years. The International Center provides short-term lodgings for visiting scholars, meeting and reception space, and a variety of intercultural classes and workshops for the community that are almost always free. Subscribe to the monthly newsletter to find out what’s being offered and register in advance. Classes fill quickly! Events coming up in April include: “Language Jumpstart: French,” a lecture on “Chinese Medicine and Culture,” “Step into Africa,” a Bluegrass Picnic and hoedown with live music, cooking classes on Brazilian, Singaporean, Chinese, Pakistani, and Southern cuisine, and a Zumba workshop. Ongoing, free English as a Second Language classes are offered throughout the year. Classes are led by volunteers, so if you have a special interest or area of expertise, it’s a wonderful way to get involved and to meet people from all over the world. On Friday I took the kids to the International Center to make Panoramic Sugar Eggs. A tutorial and all the supplies were provided. Whisk 2 egg whites until frothy. You can add food coloring to the egg whites if you’d like a colored egg.